When I started to research Marjorie Tuite, O.P. for a social media post on the Women and Leadership Archives’ Facebook page, I knew a bit about her. By her designation as “O.P.,” Tuite was part of a group of women religious called the Dominican Sisters of St. Mary of the Springs Order. However, I learned much more about her than I expected: I didn’t know that I’d fall down a rabbit hole about abortion access and the practice of feminist Catholic theology! Tuite was not only a major proponent of Central American human rights, but also an influential feminist in the Roman Catholic Church. Her inclusion of all denominations and styles of faith practice contributed to her struggle to change the ways the church treated women and non-Catholics. However, as someone who knows Catholic rituals, I was even more fascinated and surprised by the Wikipedia entry on Tuite’s unconventional funeral. Investigation of the controversial event led me deeper into her life story, and I was especially drawn to her participation in the “Vatican 24:” a group of women religious censured by the Vatican for their acceptance of dialogue on abortion. The WLA holds the paper records of four of the women who signed the highly controversial “Catholic Statement on Pluralism and Abortion.” The advertisement proposed that Catholics held multiple views on the ethics and legality of abortion. The reproductive rights group Catholics for a Free Choice sponsored the advertisement in the New York Times in 1984 when Catholic vice presidential candidate Geraldine Ferraro expressed her openness to abortion access. Such a statement ran contrary to the position of the Vatican, which held that abortion was immoral. Nearly eighty lay and religious people signed the New York Times advertisement in support of abortion discourse. Nevertheless, the Vatican censured the twenty-four women religious (commonly called nuns) who contributed their signatures by forcing them to recant or face dismissal from their orders. I was intrigued to notice that our archive holds the collections of three of those women religious. As I mentioned previously, Marjorie Tuite, O.P. was a passionate Dominican woman religious and teacher who fought for social justice in Chicago, Central America, and in the larger Catholic Church. 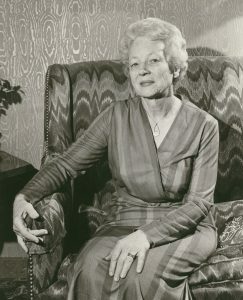 Judy Vaughn donated research materials about Tuite to the Women and Leadership Archives (WLA) in 1996. Vaughn intended to write a book about Tuite, and the amount of detail in the papers attests to Tuite’s complex and dedicated life. You can see the collection’s finding aid here. Ann E. Carr was a member of the Sisters of Charity of the Blessed Virgin Mary (BVM), as well as an educator who worked for women to have a place in the Church. She wrote many sermons on the rights of women to be part of the Church’s hierarchy and pushed for feminist theological interpretations of the Bible. Carr also donated her papers to the WLA, and her finding aid can be found here. 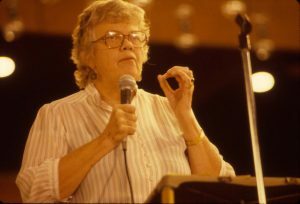 Patricia “Patty” Caron Crowley was a leader of the Christian Family Movement in Chicago and collaborated with many of the Catholic women’s rights groups in the city. Crowley’s finding aid, found here, indicates the importance she assigned to her family and activism. She signed the New York Times advertisement as a laywoman (not a woman religious like the other three in the WLA). Her reasons for signing are less obvious than Carr, Tuite, or Quinn because she was less explicitly involved in their work on feminist theology. Nevertheless, Crowley’s signature indicates that multiple Catholic women invested in dialogue on women’s right to choose. 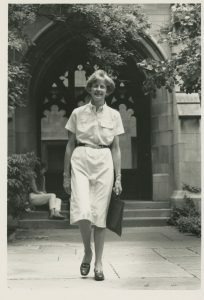 Crowley donated her papers to the archive from 1994-2006. These four women signed the New York Times advertisement for many reasons. 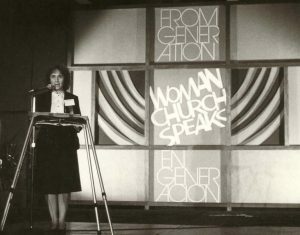 Major debates raged in the last thirty years of the twentieth century over issues such as women’s ordination, feminist theology, and the patriarchal actions of the masculine Catholic Church. As evidenced by their collections in our archive, all these women were involved with different aspects of these discussions on Catholic women’s equality. Researchers will find a gold mine of details about these women’s ideas and convictions. Their writings, speeches, books, and photographs ground their lives as real people with strong beliefs. To return to Marjorie Tuite, I noticed that this woman religious had a fascinatingly unorthodox funeral after her death from cancer in 1986. Her funeral mass was an appropriate symbol for Tuite’s efforts on behalf of women’s rights within the Catholic Church. 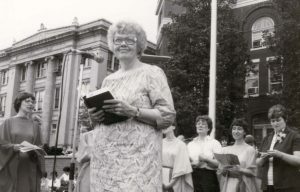 Tuite’s life work for women and the oppressed ensured that a diverse and ecumenical crowd attended her funeral in New York City. You can see what the inside of the church looks like today in this video. The priest celebrating the funeral mass stated that in accordance with Church doctrine, only confirmed Catholics could receive the Eucharist. Many of Tuite’s women religious friends were incensed at this treatment of people Tuite cared for and respected. 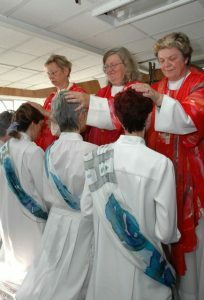 They staged a protest in her memory and in honor of the struggle for women’s ordination on the Church. The women religious elbowed the priest away from the altar and loudly consecrated the Eucharist in an extremely public way! 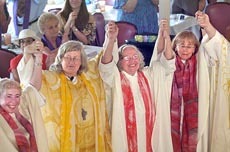 They then welcomed everyone to join communion and be part of a community: a community led by women. 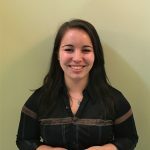 Angela is a Graduate Assistant at the WLA and is in the final year of Loyola University Chicago’s MA in Public History. Originally from the West Coast, she is enthusiastic about pub trivia and is a devoted National Public Radio listener. This entry was posted in Collections Highlights and tagged abortion, Ann Carr, Catholic Church, Catholic Statement on Pluralism and Abortion, Donna Quinn, Marjorie Tuite, New York Times, Patty Crowley, women's ordination by Women and Leadership Archives. Bookmark the permalink.